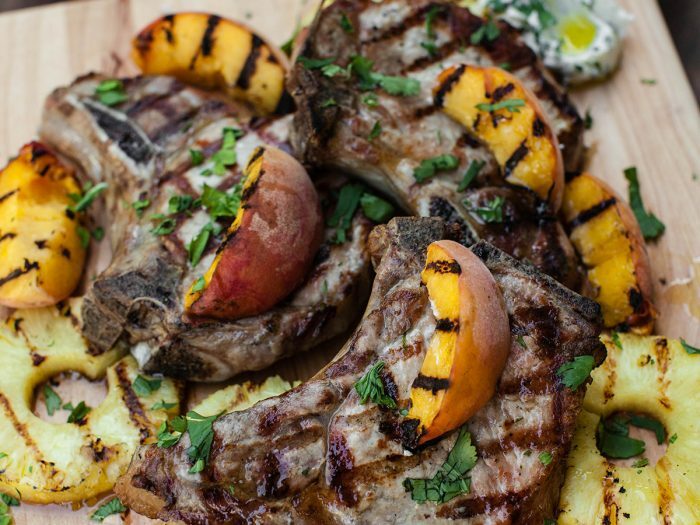 Pork Chops with Grilled Nectarines or PeachesWhatever stone fruit is in season where you are, grill it up! 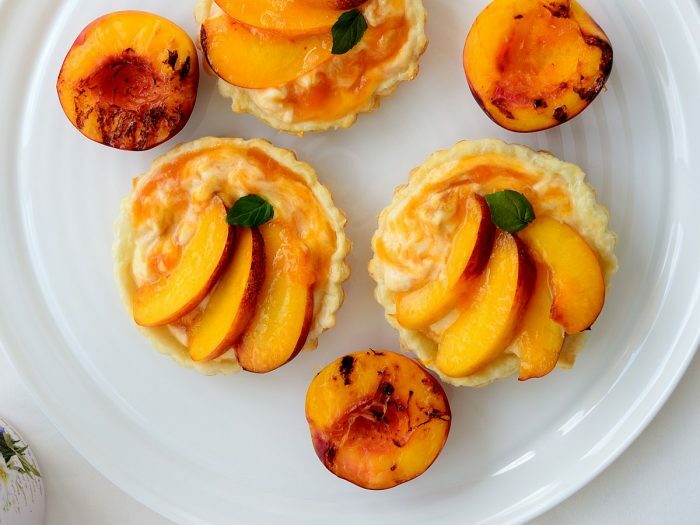 Pork chops peaches and goat cheese are a classic trio made better with Colavita Balsamic Glace. Toasted Polenta Cakes with Stone Fruit and Ice CreamThe addition of olive oil makes the ice cream extra smooth and creamy. Use fresh seasonal fruits. A moscato is the perfect accompaniment to the toasted polenta cake with balsamic-honey glazed stone fruit and vanilla ice cream. The moscato is delightfully perfumed with aromas of white peaches and rose. Good acidity leads to a long finish of creamy stone fruit and honeydew melon.